Whether you’re considering dropshipping as a new job or you’re already running a dropshipping business, you should be delighted to know that eMarketer has predicted that e-commerce sales will increase to $4.058 trillion by 2020. That means this is the best time for you to be in the dropshipping business. We can attribute the increasing revenue and popularity of dropshipping to its unique business model. You only have to purchase from your vendors when you have a sale, and they can ship your products directly to your customers. You don’t have to store purchased stock or account for physical inventory, so you only have to manage a virtual inventory. However, you have other tasks like adding new products to your offerings, setting up and managing your website, and adjusting pricing strategies. You should keep in mind that despite not managing your stock directly, you cannot really ignore the importance of managing your virtual inventory. Most first-timers take to using spreadsheets to manage their sales and purchase transactions, and payments, but as their businesses scale, it gets more complicated. Using spreadsheets isn’t always the best idea, since manual data-entry can become very time-consuming when you already have many other important tasks at hand. As your business increases in size, you’ll be selling your products across multiple channels using multiple vendors. Using spreadsheets to manage your items, contacts, payments, and other information stops being feasible in the long run. An efficient alternative would be automating as many processes as possible, reducing the need for manual data entry, maintaining error-free records, and making these records easily accessible. A good inventory management application or a stand-alone dropshipping program would be an ideal choice. This is where Zoho Inventory Management software enters the picture. Aside from the standard inventory features, Zoho Inventory can simplify dropshipping. If you have a website for selling your products, you can easily connect it to Zoho Inventory using APIs to stay synced while you create and manage your transactions. To increase your sales and profit margins, you are likely to sell your products across multiple channels. This makes managing orders a bit more complicated and can easily become a logistical mess if not managed properly. Zoho Inventory Management is integrated with multiple popular channels like Amazon, eBay, Shopify, and Etsy. Using Zoho Inventory, you can easily oversee your order fulfilment across these different channels from a centralized system instead of managing them individually. How easy would it be if you had a centralized system to store your customer and vendor details? You could have everything from their contact information, tax and currency details, to their sales and purchase transactions. This way, you wouldn’t have to type out your vendor and customer details multiple times. Manual data entry is error-prone: even if you stick to a “Ctrl+C, Ctrl+V” process, there are chances of making big errors. Using Zoho Inventory, you can create contacts for your customers and vendors where you can store all of their important details. You can even create special price lists and associate them with customers who you want to give unique pricing. When you’re managing multiple suppliers, mistakes in SKU management are common. This is because your suppliers are the ones who handle inventory and manage the SKU numbers. You can prevent mishaps if you have a unique SKU for each product sold by each supplier. You can generate your SKU for free with Zoho Inventory Management’s free SKU generator! Also, using Zoho Inventory, you can add items and include details like the price, cost, and images. If you sell variants of a certain item, you can create an item group to add those as well. If you’re selling composite items or bundles, you can use Zoho Inventory’s item-knitting feature which can bundle products and services to sell them as a single unit. In the end, you can prevent errors and manage your array of products in an organized manner with the detailed listing feature in Zoho Inventory. Wouldn’t it be better if you could generate sales orders, purchase orders, and invoices with a few clicks and send them to your vendors and customers instead of printing and mailing them? With Zoho Inventory, you can easily execute your entire workflow in an organized way and filter your records based on your sales orders and purchase orders. When your customer places an order, you create a sales order and send it to them for confirmation. On confirmation, you can mark the sales order for dropshipping. You can ship a few items from the sales order (partial dropship) or ship the entire order (complete dropship). You also have an option called “Bulk Dropshipment” which you can use to dropship items from several orders at once instead of dropshipping them individually. You can create a purchase order with your customer’s’ information and their order details and send it to your supplier. You can convert your sales orders into invoices and purchase orders into bills in a click instead of making them from scratch. Once your supplier delivers the items to your customer, they will send you an invoice (which you can record as a bill in Zoho Inventory), and when you complete your vendor payment, you can record it as ‘completed’. You can say goodbye to manually making lists of payments to be collected. Zoho Inventory is integrated with multiple payment gateways. All you need is an active account with your preferred payment gateway to get started. Your customers can pay you instantly from the payment link included in the invoice. Once a payment has been received, the status will be changed to ‘paid’ for the corresponding invoice. With the help of reports on your sales and purchase transactions, you can make sensible business decisions. If you’re considering including more products in your offerings, or you want to promote your most popular product, you can use Zoho Inventory reports to help you decide. Using sales reports, you can identify your best-selling products, your best customers, and their payment history. You can view a detailed list of your outstanding bills using purchase reports. Furthermore, you can oversee your sales and purchase transactions to check trends and make changes accordingly. All these reports can be exported in the format of your choice and used for informed decision-making. Skip spreadsheets, and choose inventory management software instead! 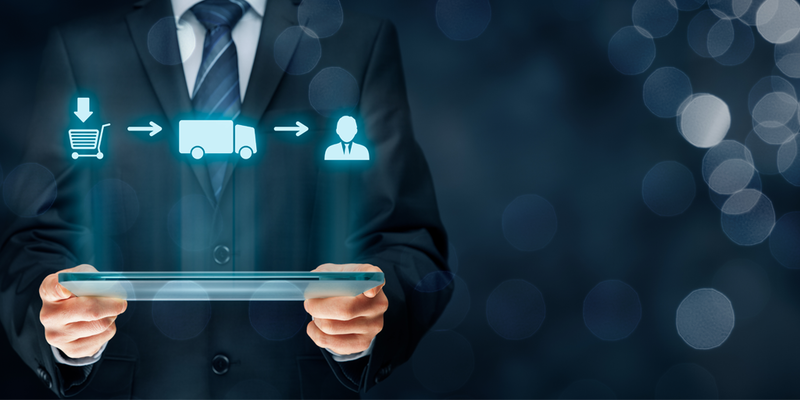 You can manage your dropshipping business by automating your workflows, integrating multiple sales channels, organizing your products, and handling customer payments.